After a long wait it's finally time to think about Nintendo Direct once again. With simultaneous broadcasts in North America and Europe we can expect a show packed with information on Holiday releases, perhaps some titles due in early 2016 and - hopefully - some surprises. We've already written about the need for deep breaths and keeping hype-levels under control, and we're going to stick to that rule here. We're considering what we feel are likely or at least possible inclusions in the upcoming Nintendo Direct, so as a result things like Nintendo NX should be pushed way out of mind. Seriously, it won't come up. Two other notable areas that we don't think will feature will be Miitomo and My Nintendo / Nintendo Account details - as these are coming next March and will be relatively detailed reveals we suspect they'll have a dedicated focus in early 2016. That said, there are some potentially exciting details to come, with some pointers to a major reveal or two already emerging. Below is a mix of absolute certainties and a few hopeful 'maybes' that are very much on the cards for the broadcast at 2pm Pacific / 5pm Eastern / 10pm UK / 11pm CET. We're about to enter shopping silly season, and Nintendo will be pitching some of its own big releases against rivals on other systems. As a result the European and North American broadcasts will likely each tackle their line-ups. On 3DS in North America attention is likely to go to Pokémon Super Mystery Dungeon, while in Europe we can expect a few minutes each to be given to Mario & Luigi: Paper Jam Bros. and Nintendo Presents: New Style Boutique 2 - Fashion Forward. On Wii U, meanwhile, opponents of spin-offs may need to bite their lips as we're shown Animal Crossing: amiibo Festival, as Nintendo will be keen to push that imminent release and its amiibo range. It's also extremely likely that Xenoblade Chronicles X will get a decent chunk of time, as that is a game that targets keen gamers - like those that tune in for a Nintendo Direct - and is complicated enough to benefit from some clarification and detail. With voting closing a little while ago Masahiro Sakurai and his team should, by now, have finalised its roster of DLC characters. No doubt one or two have been in development for a little while, and it wouldn't surprise us if the whole remaining cast is announced today. The hype around this is likely to be intense, and no wonder. The Fighter Ballot has been a fan's dream, and the possibility of unlikely or quirky inclusions - assuming Nintendo can license relevant IPs etc - is tantalising beyond belief. Some may say that a number of characters are 'unlikely', but the sight of Ryu dishing out Hadoukens in the game is a reminder of what can happen. We think a final Smash Bros. blowout could come then, if for no other purpose that it begins the transition for Sakurai-san and his team onto a fresh project. They've earned that much, and the legendary designer has tweeted a reminder for the broadcast. Exciting times. Nintendo's line-up for the first half of 2016 is rather promising on both its systems. Rather than bemoan the fact a few of those games aren't boosting the Holiday season we can look at that as a series of exciting games to look forward to. While not all games will get mentions or dates, some will undoubtedly get an update. We're hoping for footage of Star Fox Zero, the Nintendo / PlatinumGames collaboration that was pushed back for an extra bit of spit and polish; Pokkén Tournament may also get a nod. We'd also love to see a bit more of Fire Emblem Fates and maybe a release date, depending on localisation progress. Heck, maybe Metroid Prime: Federation Force will get a chance to try and prove itself and gain a little positive publicity; we should try and give it a chance. We suspect that Nintendo is cursing PEGI at this point, as a rating for Minecraft Wii U Edition with a release date of 12th November (yep, today) points to it being a classic 'available to download now' reveal. That's a European rating, but if North America isn't also in on the act we'd be astonished; that's assuming the rating isn't a monumental screw-up, but it's a solid indication that it's happening. Though Microsoft now owns the brand, the company likes making money; as a result this is only surprising in how long it's taken. The 'Wii U eEdition' part of the name makes us hope for features specific to the system - it'll surely make good use of the GamePad, but if there's some tie-in with Nintendo IP or skins that would be a lovely touch. We include this in all of these articles as it seems like such a safe bet. The eShop is such an important avenue for Nintendo now that it's always eager to show off upcoming games though sizzle reels and even small features with the Nindies themselves. There are some goodies to look forward to, with games like FAST Racing NEO, Shantae: Half-Genie Hero and SteamWorld Heist all notable examples. We'd like to see a little more of the game content that'll accompany the Shovel Knight amiibo, too, as that's due for release very soon. Consider this your SPECULATION KLAXON, as this entry is a little more wishful thinking that nevertheless has some basis in reality. Monster Hunter X (Cross) is about to arrive in Japan, so with development presumably pretty much done we hope that this will be localised for the West. Perhaps the time is right for a loose announcement to build early hype. With Monster Hunter 4 Ultimate being the best-selling entry in the West to date we'd like to think that Capcom will want to maintain that momentum. With a continuation of the speculation klaxon, these suggestions - once again - do at least have some logic. Leaks of eShop data pointing to The Legend of Zelda: Twilight Princess HD were believable in their nature and in terms of the game's likelihood. 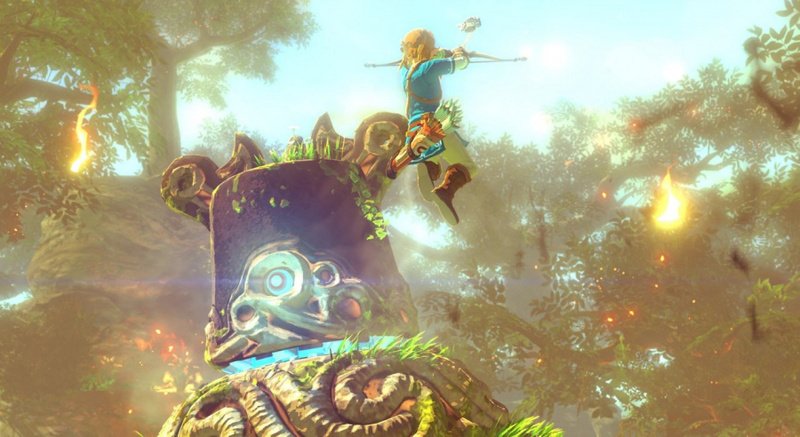 2016 is a big anniversary for The Legend of Zelda, and this would be a perfect kick-off to the celebrations; we also think a reasonable budget price could be possible if this is an apology of sorts for the ongoing delays to The Legend of Zelda on Wii U. On the subject of that latter game maybe a brief burst of footage could make a cameo. It's worth also noting that Mr Pokémon himself, Junichi Masuda, has tweeted a reminder about the Nintendo Direct. This could just relate to Super Mystery Dungeon or a little eShop game, though 'mon fans are hoping it'll be the start of build-up to the much expected Pokémon Z, or perhaps there'll be more information on mobile title Pokémon Go. Finally, Splatoon, if playable Octolings are going to be a thing then now is the time. This section was added shortly after publication, as some correctly pointed out that it was a silly one to miss. The amiibo range continues to be a major success for Nintendo and the range has plenty of scope to expand. There are Smash Bros. cast members still waiting for their figures (primarily DLC), some wonder whether the Mario Tennis: Ultra Smash cast points to more figures - we're slightly more doubtful on that one - and we're curious to see whether any new figures or cards are unveiled for other upcoming releases. We're not 100% sure on this one simply due to cultural considerations in Japan, for example, but we'd anticipate some mention of Satoru Iwata, the former company President and the man that brought the very idea of Nintendo Direct together. It'll be a touching moment should it happen. So there you have it, some of what we think will come in the upcoming Nintendo Direct. Remember it's all going down at 2pm Pacific / 5pm Eastern / 10pm UK / 11pm CET; we'll be streaming and live blogging both the North American and European broadcasts - with live chat - here on Nintendo Life, followed by the usual news and reaction. Until then, what do you hope to see in this Nintendo Direct? I don't think there will be ANY Zelda news today. Minecraft was obviously the unannounced game coming to the Wii U. And I am still not sold that Twilight Princess HD is even a thing but we shall see. I don't expect anything to do with Zelda U until some point next year. Any and all of the above n more if possible. I'm personally wondering if we'll see more seemingly forgotten titles making their debut in Europe. A look at Nintendo.co.uk's Nintendo 3Ds games still shows Dr Kawashima's Devilish Brain Training with a TBD release date. We also do not have Rusty's Real Deal Baseball, which may be more likely now that we have Nintendo Badge Arcade. "Please note that the presentation will not feature any updates on NX and mobile." That's taken from the ND page on Nintendo's website, so no NX or Miitomo. Or a fun new eShop game à la boxboy, whatever. MS - "Well, I guess you guys can have Minecraft." Nintendo - "And can we have Banjo Kazooie for Smash??" These all sound plausible. Hopefully these predictions are correct. Love a direct, on announcement I count down and re-become a fanboy! It's definitely the best delivery message of gaming goodness. You forgot about amiibo. Ryu, Lucas, Roy? The remaining Mario Party/Tennis cast in their amiibo form? As for surprises, Bayonneta 3? Want Smash news, we are to expect some kind of Pokemon related thing even though I don't care about pokermens, other then that I dunno what I want to see. Still suspicious for Turbografx being added to the Wii U VC, since we had that rating for Bonk and Europe's update today is VC-less (True NA did get a VC game today, but still.). My guess is: There will be a tribute to Iwata in the EU and US Directs, but none in the JP one. Hoping Bill will do the US direct. Fingers crossed for Twilight Princess HD. It's my favourite Zelda, but it's definitely starting to show its age, especially compared to Wind Waker HD. If the remake has the same graphical step up, adds a Hero Mode, fixes some of the more annoying parts (fishing and the tedious Vessel of Light segments come to mind...) and adds some more stuff to the overworld, this'll be a day one buy for me. @rjejr and no Pokemon GO! either. I know that I will be pleased regardless of what they have to showcase. I'm just happy to have any updates. HOWEVER, I'm preparing a substantial amount of popcorn, awaiting the waves after waves of disappointed individuals who either expected a specific thing that won't be showcased (Zelda U, even though I hope not) or the ones that expect the impossible. Of course, I've made enough to share and you're all welcome to have some. Be hyped in moderation, folks! Looking forward to more Xenoblade and Star Fox footage, but any mention of the word "Zelda" will be the highlight of the presentation for me. So do we have a length yet? To cover all of that - and its all viable - would take about 90 minutes I think. 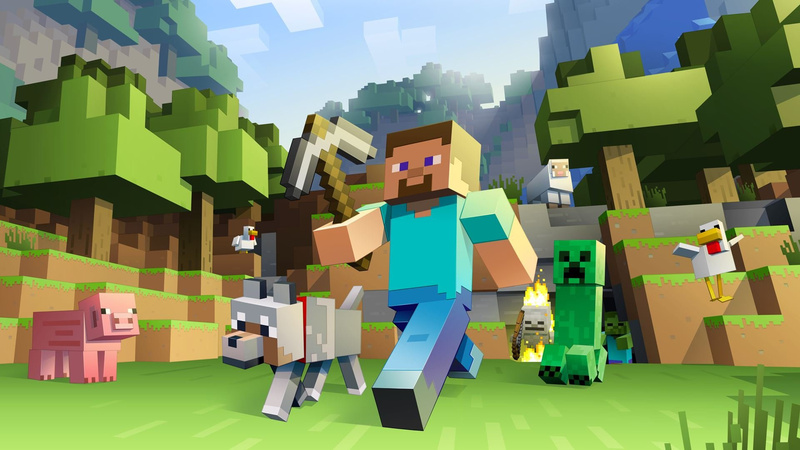 Heck, Minecraft "Wii U" edition should get 90 minutes by itself. anybody remember this vid from 4 years ago? Looks sweet. And all that 3DS stuff I don't really follow. No Pokemon Z though, Gamefreak will announce that in Feb for a holiday release. No NX, no Miitomo, no Club Nintend, no Pokemon Go, just Wii U and 3DS game trailers adn they have plenty to cover for their usual 35-40 minutes. Oh, and new unnanouncd games. And maybe Project Guard and Project Giant Robot. There's so much to cover, not sure how they could cover it all. And what abut Pokken Tournament, that's due out in spring on Wii U correct? And yes to Iwata tribute, but that will be brief, under 1 minute. I just wish for Dragon Quest and Ace Attorney games to the west. I'm hopping for the Smash ballot results and some new Splatoon DLC. Some Zelda news would be nice, too! Can't wait until later today! At least 10 minutes games already published but added because there is no new content. No new games this year, except maybe minecraft if that thing is indeed true. I'll keep my hype low today. This is going to tank so bad. SO BAD. @manu0 Mostly the salty tears of said individuals, but I'm open to suggestions. I think I have a can of "Bitter disappointment" left, though. Oh, and I prepared a "Delightful surprise" for my personal consumption. Do you want some? Yeah it's possible, but we don't even know if that is a Wii U game. All he said was that it's close to completion. That could mean a lot of things. NX, Miitomo, and Pokemon Go won't be mentioned. Anyways, I think the amount of time spent on the holiday titles will be kept fairly short. The 2015 stuff they do spend time on will probably be updates/DLC for already released games and eShop releases (including Minecraft). I think there will be more time spent on Q1/Q2 2016 releases. English name for SMTxFE please. I'll be watching just to see how it works without Iwata. A release date for Fates would be great though. I think it'd be best to hold reserved expectations. I don't see Nintendo having taken any risks since before the Wii U launched. The shareholders run the show now and I can only sadly assume that 2016 will be Miyamoto's last making games. "It's also extremely likely that Xenoblade Chronicles X will get a decent chunk of time"
ZeldaU footage is way overdue, hope they deliver. Quite happy about Minecraft, too, tbh. @3DS How can I forget, THAT'S also something I want to hear about a lot! Everywhere I go everyone's talking about Nintendo Direct: "What games do you think they'll announce? ", "I'm really hoping to see some Zelda footage! ", "I hope there's a big first party game coming!" while I'd be happy with just a small tribute to Iwata. While I tune in for Nintendo Directs for game announcements, I also want to see the Nintendo family (Iwata, Miyamoto, Sakurai, Shibuta, etc.). I wasn't as sad when the news about Iwata passing away came mostly because I didn't know how to react but now that I know I'll be watching a Nintendo Direct and he won't be part of it... It just makes me sad. He always had the biggest smile on his face. Also, will you guys be providing a link to the Direct? Cheers. @ThomasBW84: Minor spacing issue, second paragraph - possibleinclusions. I'm trying to keep my expectations as low as possible to avoid disappointment. (deep breaths) I'm hoping to at least see things Zelda-related, Pokemon-related, and more details/ a release date for FE: Fates. @Trinexx D'oh, thanks for the heads up. 5) Something small about indie that no one really cares about. Masuda tweeted a link to the japanese Direct. It's unlikely that it was because of Super Mystery Dungeon, that game has been out in Japan for months. Fingers crossed for a Z reveal, or at least some Pokkén update. But I'm keeping the hype under control for those. What I do seriously want is Smash news! All aboard! Choo choo! @Tsurii Yeah, I know they said no free version of AC:aF. Nintendo says a lot of stuff, best not to believe any of it. They also said "no DLC" was planned for SSB. And we will see even more of that tonight, making the DLC cost more than the game at this point. Season passes, free-to-start, mobile, DLC - everything Nintendo has ever said they will never do they now do on a regular basis. Oh, and we would never need amiibo to play a game like those other toys-to-life games, they would only unlock extras. But you NEED 1 to play AC:aF. Lies lies lies. "Twilight Princess, I'd really like a remake and play it for 100th time"
Fortuantley for me I only played it once. I played the first half - about 20 hours - then about 6 months later I played the 2nd half. I did play Link's Crossbow Training a lot, I think it was mostly modeled after TP. Hopefully they'll have a lot of stuff to talk about. If I've really been waiting this long for another Nintendo Direct, I expect something big. Giving Federation Force a chance? That would be a dream come true! @ikki5 Didn't they already say they weren't talking about Mobile stuff, same with NX, only Wii U and 3DS? I'm not going to expect anything, because that my friend, is what leads to disappointment. I don't really care what they talk about, as long as it's interesting. We're in such need of the ND that anything is welcome. As for the Smash Ballot, I'm still hoping for Shadow The Hedgehog and Cloud Strife. Splatoon DLC please! I want to see playable Octolings, new maps, or a new ranked mode. Just give me a release date for Fast Racing Neo. All the rest will be easily forgotten until Spring 2016 thanks to XCX. If a localisation of Rhythm Heaven The Best Plus gets announced, I'm good. If a localisation of Rhythm Heaven 3DS gets announced, I'm good. Devil's Third? Still waiting here in the U.S.
And for my super-surprise reach: Bayonetta 3. Oh yeah! @Souflee Nintendo DID say they had some Zelda U footage ready for E3 but decided not to show. So...not ALL hope is lost! Finally this site is working me me again!!! It's been months since I could visit Nintendo Life and comment from my main place. Yes!!! Now as for the today's Nintendo Direct, I don't expect too much. Keep my expectations low so I won't be disappointed. The Nintendo site already confirms that no NX info will be in this direct today. Meh. Let's see how it goes. My comment disappeared into nothingness? Huh?! Que?!! I think tonight's direct starts with a montage tribute of all the past "directly to you" clips. If they got Xenoblade Chronicles on the "New" 3DS, couldn't they get Twilight Princess 3D on there as well? But I guess it's already been confirmed somewhere that it's HD and not 3D? I really hope they don't spend too much time on games we already know. I would expect them to learn from that after E3 with showing waaaay too much Mario Maker, Wooly World, and Skylanders. Calling it now, Zero Suit Samus as playable character in Mario Tennis Ultra Smash! Just look at her! She would look perfect on the tennis field and she even have an amiibo already! My prediction for today's Direct is people will complain about it on the Internet. .predictions/ anounced things, Announcing new games possibly?.smash ballot ,Zelda twilight princess HD ,Mario maker dlc , Triforce heroes dlc, Mario sunshine 2 / remake ( maybe.... or also probably not happening) . Minecraft for wii U , shovel knight amiibo release date announcement? More Xenoblade chronicles X information. And more updates about upcoming games , mario tennis , Fire emblem fates ..etc. and thats about all I could think of. @rjejr That was TheBitBlock who reported the free download. That misinformation is on him. Besides, that guy is walking "unpopular opinions asserted as fact." I hope we get 3 stage rotation in Splatoon, as well as shorter times for each rotation, like 1 or 2 hours. Keeping expectations low though. I know this might never happen but details on Dragon Quest XI for 3DS would be my top tier surprise. If it's like most directs, i will walk away pretty happy while most of the internet is complaining. I think it'll be a good one this time for sure though. Tri Force Heroes — the hero in the game, aka Link, was very much styled on The Wind Waker's Toon Link. Otherwise, why not just use the regular Link from ALBW? Hyrule Warriors: Legends —Toon Link, Tetra, The King of Red Lions, etc. Why save all The Wind Waker characters for the upcoming 3DS version of Hyrule Warriors, huh? Monster Hunter X — Toon Link makes an appearance as a Palico in the latest Monster Hunter release... on 3DS! So there you have it. Calculated guess or a classic case of 2 + 2 = 5? We'll find out soon enough, I guess! R.O.B. is back!!! Project Guard and Big Robot will star the true hero of Nintendo. The Robot Series returns to the Virtual Console with Giant Amiibo R.O.B. support. (Okay, probably not but R.O.B. is still the grandfather of Wall-E). So there's gonna be a special Nintendo Minute featuring TheJWittz and Jirard The Completionist immediately following the Direct. Does the TheJWittz making an appearance give more credence to Pokemon news being in the Direct? I'm mostly expecting Pokken if there's Pokemon news, but Pokemon Z would be a welcome surprise. Is there a good way to watch it on TV through the Wii U? I assume through the YouTube app? Ive never tried watching it live by TV but my son will be home from school just in time to watch so I thought I'd give it a go. @IceClimbers "That was TheBitBlock who reported the free download. I'm not as concerned w/ who reported it,or it being "free", as Nintendo compeltley ignoring their own game. Disney Infinity 1.0 was free to DL on Wii U.
Disney Infinity 3.0 is $20 to download on Wii U.
Skylanders Trap Team is a free download on Wii U if you have the Wii version. Skylanders Superchargers is $50 to download on Wii U.
I haven't checked since the update an hour ago, but it's almost impossible to even find AC:aF on the Wii U eShop. There's a whole lot of territory to cover between the game being free to DL and the game not even having it's own tile and link to a trailer. It doesn't need to be free if you only need 1 amiibo for a 4 player board game, but they should at least offer it for $30. Mario Tennis Ultra Smash has been available to pre-order, pre-pay, and pre-download for over a week and it doesn't release until next Friday. OK, I'm going to go put on a pot of coffee and think about lunch while I go check the eShop update. And my money is on Pokken, not Z, though I don't have a clue who those people are. Z will be shown in Feb for next holiday. Mystery Dungeon may be shown. Pokken is due fairly soon, it needs to be in there. @Gerbwmu I think I watch it on my Wii U on this site on the tv while I scroll the chat on the Gamepad. I can never find it on Youtube. Or maybe I just use my tbalet for the chat, but I stream from this site. WAIT! THERE's NO JAPANESE DIRECT? Let's all just wait and see. Let's not expect too much then we won't be let down. Surprises are always nice! @Gerbwmu Do not use the YouTube app (I don't even think Directs can be streamed from there, anyway). Rather, use the Wii U browser and watch the Direct through Nintendo Life. That way, all the action occurs on the TV while you can chat with other members on the GamePad. There might be the occasional lag, but nothing too serious. Since I won't be at home during the stream, I'll be using my tablet to watch the Direct and use my phone to chat. I wouldn't be surprised if we gey a segment showcasing Badge Arcade that drags on for way too long. I'm gonna go out on a limb and say we'll get more info on Miitomo and...wait for it...Quality of Life. Yes, it's quite a stretch, but that doesn't mean it's not a possibility. @3DS well, I am still skeptical about the no mobile stuff because there are times where they said they won't talk about something but then find a way to put it in, even if it is just a small mention for like a minute at the end or something. Also, I don't recall seeing anything about the NX in my original statement. GUYS ITS POKEMON Z!!!! THEY'RE ANNOUNCING IT! FINALLY! 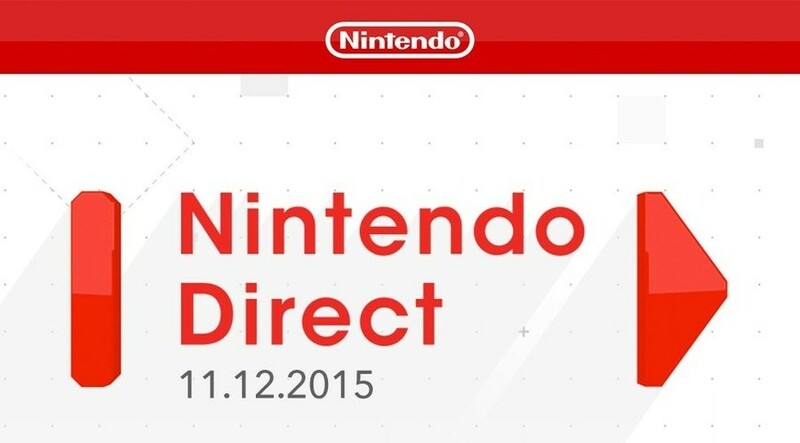 "Catch a new Nintendo Direct on Nov. 12 at 2 p.m. PT for updates on upcoming Wii U and Nintendo 3DS releases. Please note that the presentation will not feature any updates on NX and mobile." MOBILE. Which means its NOT Pokemon GO. Which means its either about Pokken Tournament or they're FINALLY announcing POKEMON Z! UPCOMING: Pokken Tournament is already out in Japan and Nintendo direct is usually used to highlight NEW games, which means it IS POKEMON Z! Junichi Masuda is the head of GAME FREAK. Pokemon Z is a go as of today! 4 hours from now, I hope I was right! @rjejr OR Pokemon GO. That's for mobile too. This means it has to be Pokemon Z. No doubt. @ikki5 Sorry, didn't mean to make it seem like you mentioned the NX. What I meant was the said that no Mobile or NX news. I was emphasising the Mobile bit, but included the NX bit too, as to keep it as per what Nintendo said prior to now. I guess we shouldn't always trust Nintendo on what they say. But, to be fair, they are one of the most trustworthy companies when it comes to announcements and Directs. @IceClimbers OK, AC has it's own eshop icon now. It's near the bottom right. Very far down but it is there. When you click on it it's listed as coming out tomorrow. And get this, the price says TBD. Mario comes out next week and it says $49.99. XCX comes out in 3 weeks and the price says $59.99. But tomorrows release game says "TBD"? Only if it's free. Or close to it. I for one hope we get some Zelda Wii U info. @rjejr: I'm only here for the inevitable Wii U Mini announcement exclusive to Target. @rjejr Awesome! Also, I imagine that leaked Splatoon map I just linked above will be hitting tomorrow if Minecraft and Smash DLC are hitting after the Direct. Gotta make sure Nintendo Network doesn't crash entirely . Now all of the maintenance the past couple weeks makes sense. Nintendo Life: " The 'Wii U eEdition' part of the name makes us hope for features specific to the system". How much online support can you expect on Minecraft Wii U? And for how long?? "The Legend of Zelda, and this would be a perfect kick-off to the celebrations; we also think a reasonable budget price could be possible if this is an apology of sorts for the ongoing delays to The Legend of Zelda on Wii U" Nintendo making a discount on a 10 years old game? NEVER. :S I would love it, really, as I already have the original but I'd like to upgrade. "With Monster Hunter 4 Ultimate being the best-selling entry in the West to date we'd like to think that Capcom will want to maintain that momentum". Hopefully! I'm only hoping for Rhythm Paradise The Best +. @VanillaLake If this is the Tantalus port then they have experience adding game screen features. So I would say that is quite exciting. I don't expect much. Probably more DLC for Smash and amiibo cards. The last two directs have been rehashes of material we've already known. @Ryno You're a year early. Wii Mini U will release the same day as the $300 NX for $199. Gamepad sold separetly for $99. Because, Nintendo. Who knows, Nintendo are full of surprises, both good and unexpected..but still looking forward to this regardless. Been too long so nice to see one back before the years out. ...oh & Rhythm Thief sequel please too!! @GrailUK I mean that probably Wii U servers are going to be shut down sooner than expected. The Wii and DS servers were shut down sooner than people expected -around Mario Kart 8 release- even though both consoles were massive hits, so I expect Wii U servers to be shut down next year. Just give me a release date for Fire Emblem Fates and SMT x Fire Emblem, oh and Fast Racing Neo. That in and of itself is enough to satisfy me. Anything beyond... bonus. @spoon07 They already confirmed Ace Attorney 6 for a western release a while back didn't they? @GrailUK I corrected my last post. Mario Kart 8 was released on 30th May 2014 and Wii and DS servers were shut down on 20th May 2014. I would like to see a rewards program. There was some Minecraft "like" game in the eShop that normally goes for $7.99 on sale for $1. "Stone Shire". Made me wonder if they were trying to get all the sales they could before Minecraft launched and nobody bought any more clones. ALL I WANT IS A RELEASE DATE FOR FIRE EMBLEM FATES!!!!!! @JaxonH Fast Racing Neo has had a big icon on the eShop for a few weeks now if that helps any. I didn't think to click on it, sorry. I really wish my Gamepad signal would reach my PC. How much lag can there be browsing the eShop? @TheGreat3 I don't think Pokken is out on Wii U in Japan yet, so my money is on Pokken, not Z. Just b/c it's out in arcade doesn't mean it's not "new" to Wii U. If they show off Minecraft how new would that be, it's on every platform not owned by Nintneod? Even if it were just Story Mode that's already out on PC and consoles as well. Don't worry, Z will come, in Feb. I'd like for them to finally give us an European release date for Moon Chronicles. Really hoping for some new info on Lost Reavers (formerly Project Treasure). The game ran its beta in Japan in early September and I would expect it is in its final stages of development now. Other than that, realistically I would be stoked to see new Amiibo line, Smash ballot winner, and Minecraft Wii U Edition. Unrealistically i would love to see Squaresoft SNES VC games such as Final Fantasy II (4 in japan), Final Fantasy III (6 in japan), Chrono Trigger, and Super Mario RPG all available in the eshop. A 30-something man can dream cant he? @VanillaLake Ye I see what you mean. I of course don't know. @rjejr Feb? Too soon. May/June is my bet. I'm still not ruling this out !! It would be a dream come true. I want some Splatoon DLC, a new mode and such, maybe some more amiibo implementation. And less about games we already know are coming, like Xenoblade. X and Y was revealed on January 8th 2013. I know ORAS was May 7, but that was a remake, I think they'll go earlier for a new game. Plus they've already been showing all of that stuff w/ "Z" in the anime and movie, no need to wait any longer than Feb, cat is already out of the bag. Plus, if Nintendo announces NX at E3, if will get all the focus, better to be ahead of that news. Jan/Feb/Mar no later. Yes, Minecraft. Time to party like it's 2011! @LFiM That is right. But A.A Investigations: Miles Edgeworth 2 and The Great Ace Attorney still uncorfirmed. Hmm, I just thought...What if they unveil Roy's amiibo?! @JesWood13 That is my mantra for life. @spoon07 That's a good point. It's been so long since AA2 that I doubt we'll ever see that as a single release. What would be kind of nice is a second Ace Attorney Trilogy featuring Apollo Justice and the two Edgeworth games. I would love to see playable Octolings, Minecraft Wii U edition, a new Pokemon game, more info about Zelda U, and the Smash Ballot winners! If Minecraft has been specially tailored for great gamepad integration, and maybe even includes some Nintendo IP, I think that will win for me. I've never played it and look forward to it. In regard to Twilight Princess HD possibly being "budget", if by $50 as opposed to $60 yes I can see it being "budget" priced. That's what Wind Waker HD cost when it came out. If we do get TP HD I really don't see it as an apology from Nintendo, but rather a release to fill a gaping hole that Star Fox and Zelda Wii U left behind when they were pushed to 2016. I'm tired of hearing about Splatoon but I'm sure we'll get some of that in the Direct. Pokemon Go info is likely, but I'm not sure we'll hear about anything we don't already know. I'll tune in to the Direct as I always do but I see no reason to get so worked up over it. @rjejr Z will definitely be revealed soon. I'd say before February. I don't know about your holidays release guess though, I think it will come sooner, but who knows. @TheGreat3 Too much excitement!! Let's hope you're right! Virtual Console - Mother 3 (Iwata tribute) available after the Direct. They usually go up an hour before the direct, maybe someone put it live for a second by accident. Good predictions. That's what I expect from Nintendo. Everyone should be able to find at least one thing that appeals to them. I will make a wild guess that is actually possible. @BakaKnight then i will prefer Ganondorf also has an Amiibo so... technically every smash character can join. @Santa Uh...it goes live in well under an hour. Captain Toad 2: The Temple of Doom. Inkling DLC for Smash Bros and the Ballot winners are all I need! You have your time wrong it goes live in about an hour and half. When did daylight saving end? @Neko_Ichigofan It ended 11 days ago, on November 1. According to my calculations, the Direct goes live in about 70 minutes. I really hope they don't show more Xenoblade. It's been showcased to death and has been out in Japan for ages. I really don't like to predict, I like to be surprised! Better video streaming performance: nintendo.com, or twitch? I'm half expecting a Pokemon Z announcement. We haven't heard anything about it yet, but the recent reveal of the new Zygarde forme seems to indicate that it's on the way. If not now, it'll be in the next couple months. I hope after the xenoblade x,well be told that the original will be available on the eshop after the direct. In a perfect world, Life Is Strange would be ported to the Wii U. Still my GOTY & I can't see anything breaking that in the next month and a bit. Man that game got to me! Almost everything on the list was in. Nice predictions there. What was the unannounced 2015 game for wii u? Looks like you were spot on for most of this except Minecraft. And of course NO ONE could have predicted Cloud for Smash. @whodatninja haha! Yeah it was a pretty bad oversight on my part. A buddy was texting me as I was driving and I'm like "don't look at your phone. Just don't do it!". All in all I was very happy with the direct. Release dates and the footage of the tennis game has made me want to buy it. As a big amiibo collector my poor bank account just burst into tears but I am loving all the functionality. Fates got a Special Edition in the west and I have to admit I was wrong since squenix is actually bringing DQ west. @deemdadim The amiibo was an extra detail, my main point was that Zero Suit Samus already look a lot like a professional tennis athlete. Not that it matters, Nintendo barely named Ultra Smasn at the direct, I doubt that game will ever get any special surprise in the future. I thought it was very good. I'm only on Wii U, so there wasn't as much stuff for me as for most people. Cloud in Smash is pretty amazing and may be the best kept secret by Nintendo ever! Nobody saw it coming. Nobody. Twilight Princess HD on the other hand was predictable and I wasn't too interested in it, until I saw the Limited Edition with amiibo and soundtrack. Sigh, you got me again Nintendo. Monster Hunter fans were trolled. Hard. They went on forever talking about RPGs, and each one was introduced with the tagline, "And for another RPG from a beloved franchise..." which built up hype for the #MHXForTheWest confirmation that never came. But hey, Pokemon on virtual console is super hype too! @rjejr May/June is still my bet. @Interneto May June Sept Oct. Are we talking abut the release date, the announcement date, or both? Maybe Corocoro will tell us everything we need to know next month? @rjejr I mean the release date. Hoping that next month we get great news about this!